According to comScore’s figures for May 2011, the number of people over the age of fifteen who access the web from home or from work increased by 21 percent year-on-year in Mexico, compared to an average global growth of 10 percent. There are now 19.4 million, out of a total population of 119 million. With 25.8 hours per month, Mexican users also spend two more hours online than their international counterparts. 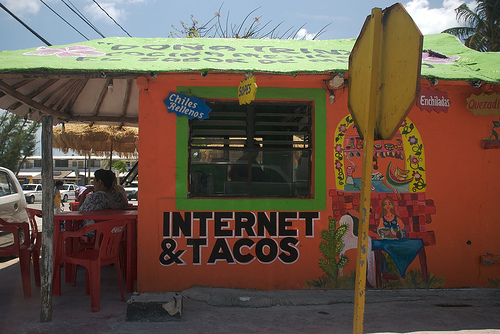 These numbers reflect the fact that more and more Mexicans have gained access to the Internet at home. It’s important to note the limitations of comScore’s panel as it doesn’t measure Internet access from cyber-cafés, universities or mobile devices. This explains why its number of 19.4m Internet users is much lower than the usual estimates you may have read about Mexico. However, this approach also means that comScore can profile users and track individual behavior more efficiently. As a result, comScore is able to measure age distribution. According to its country manager for Mexico, Ivan Marchant, the age pyramid in Mexico is typical of countries with a low Internet penetration. Indeed, younger users are overrepresented; 64% of Mexican users are less than 35-years-old. The youngest users are also the heaviest ones; Mexicans between the age of fifteen and twenty-four spend an average of 29.9 hours online each month. With young heavy users, it comes as no surprise that the most popular website categories are quite different in Mexico from the rest of the world. Yet, they’re quite similar to the trends we observe in most Latin American countries. For example, 71 percent use instant messaging, while the global average penetration is only 35 percent. However, even if IM use remains very high, Mexican users have been spending less time on MSN and the likes over the last months. In June 2010, they were spending 28 percent of their online time using IM, while this percentage fell down to 18 percent in June 2011. During the same period, the time spent using social networks grew from 12 percent to 27 percent. Social networks are indeed the main category of websites accessed by Mexican users, with a 90 percent reach. This is well above the global average and in line with Latin America’s average. Mexican users also spend more time using social networks than their foreign counterparts (6.8 hours vs. 5.7 hours). In fact, social networks are so important in the country that Mexico is Facebook‘s 12th top market in terms of reach, and Twitter‘s 14th. It’s also worth noting Foursquare‘s exponential growth – a whopping 1312 percent increase year-on-year. The check-in platform now has 50,000 unique users and counting, with local competitors such as Yumbling, which focuses on entertainment options (see our previous story). The Mexican market still has a lot of maturing to do, and online retail is emblematic of this need. E-commerce is much less popular in Mexico than in the rest of the world or even in Latin America, both in terms of penetration and the number of minutes spent on websites from this category. As a result, most retail subcategories have a lower reach than the global average, except for computer hardware and ticket sales. Another data point that shows that Mexican e-commerce websites can still make progress is that Mexican users don’t trust their local sites more than they trust foreign ones, in contrast with more advanced markets such as Argentina and Mexico. At the moment, the most popular retail destination by far is the Argentine website MercadoLibre. MercadoLibre is part of a trend in the country; the Brazilian shopping comparison tool BuscaPé also has one of the largest reaches within the market, alongside big North American players such as Amazon, Ticketmaster and Apple. 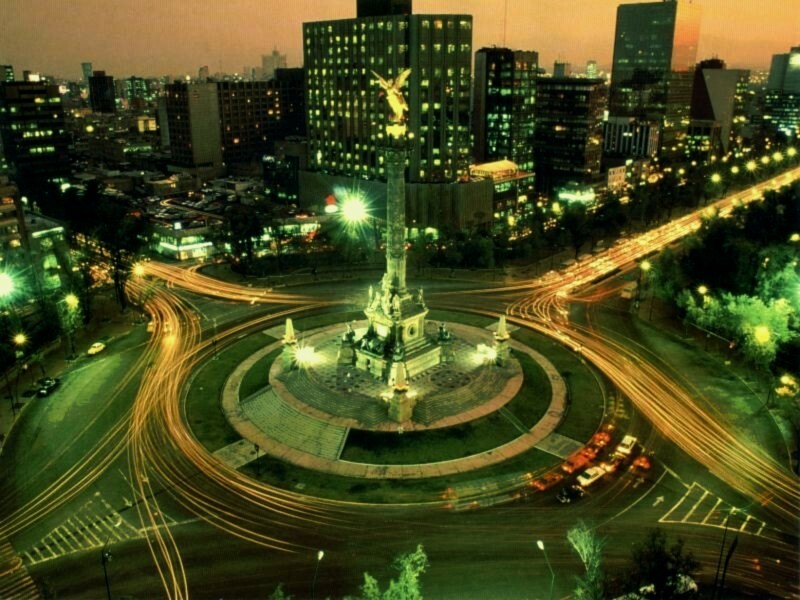 Recent news confirms that Latin American e-commerce companies pay attention to the Mexican market. One example is the Brazilian online travel agency ViajaNet, which recently confirmed it would soon launch operations in Mexico. Indeed, comScore points out travel as one of the segments which has the highest growth potential – this category’s reach is very limited compared to North America and there’s no clear market leader. Another Brazilian company interested in the Mexican market is the popular daily deals website Peixe Urbano (see our previous story). The group, which had already expanded its footprint to Argentina, recently launched a local version of its platform, pezurbano.com.mx. It’s entering Mexico at a time when group buying and flash sales are very popular, albeit somewhat volatile. 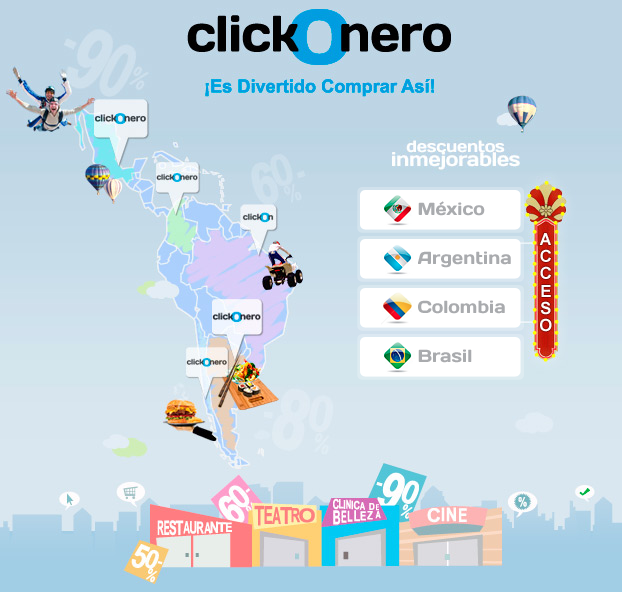 Clickonero is the website which grew the most in this category, while competitors such as Groupalia, Groupon and Privalia weren’t as lucky. What will happen remains to be seen. Do you think now is a good time for foreign companies to enter the Mexican market?